Roger Federer will play this month at the German championships in Hamburg, adding a second ATP tournament to his unexpected clay-court schedule in July. 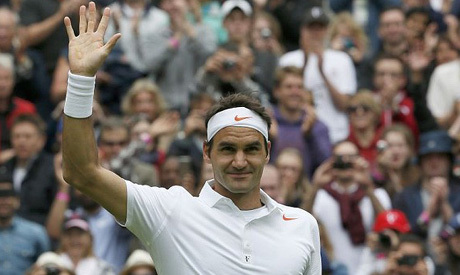 Federer says on his official website he has entered the tournament which starts July 15. The following week Federer is committed to the Swiss Open in Gstaad where he last played in 2004. Federer had planned a one-month break after Wimbledon until his stunning second-round loss last week to Sergiy Stakhovsky of Ukraine. Federer says he has ''great memories'' playing at Hamburg where he won four titles, most recently in 2007, when the event had Masters Series status.